say that “forces” that animate these elements live there. The matter just isn’t that simple. Does the spirit of a stick live in a bush? If I go to the woods and grab a stick to place inside my cauldron, does the bush from where it came from remain without a spirit? Does the spirit remain in the bush and simply give the piece I took to place in my cauldron its virtue? If someone dries the bush out and chops it up does it mean that the stick I took has now lost its virtue? Let’s see…everything works together! If you take a snake and kill it and you chop it into little peices and give each person that comes looking for help through “the congo ways” so that they resolve their problem, doesn’t the snake only have one spirit that works? Or does it not? What happens is that the spirit of the snake is not in each of the pieces that you give out, the spirits of the snake vibrates in each one of those pieces, no matter how small, through which he endows with his virtue so that they can resolve their problem. It’s not because its that one snake! Its because its the same spirit which vibrates throughout all the snakes in the world. That’s what happens with everything. 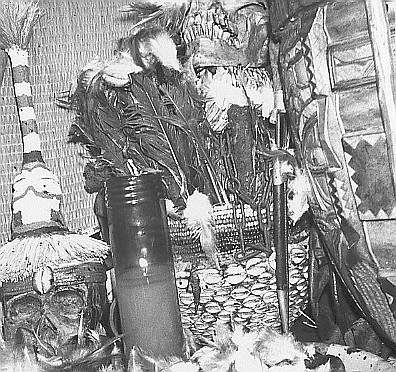 There is one spirit which vibrates throughout all of the siguaraya (trichilia havanenses) bushes, this spirit does not live in a particular place, but it does endow all of them to have medicinal and spiritual properties so that they are good for something! The nfumbe “vibes” through the nganga, but he really doesn’t live there, he is everywhere and nowhere at once. 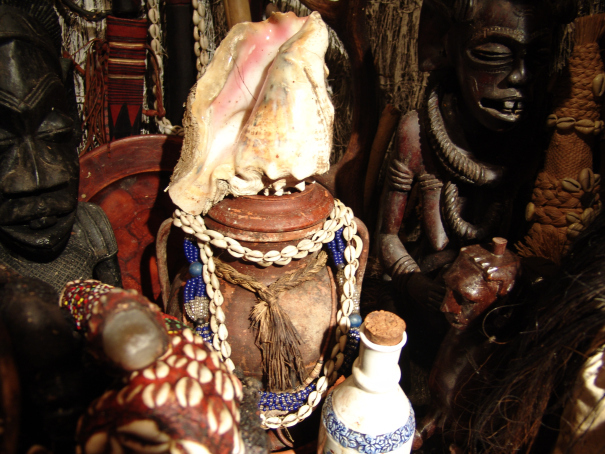 Many tatas believe that because they have John Doe’s bone inside a cauldron they have that spirit tied in there. This is a mistake! 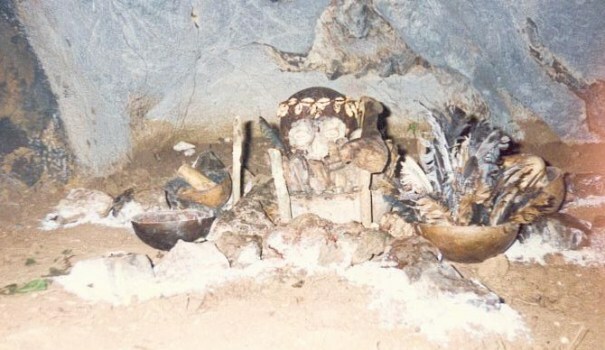 The nfumbe goes to the cauldron to search for the vibration of the elements that you placed there in order to use them in his “work.” He goes to the cauldron when you call him, even if it’s to punish him! 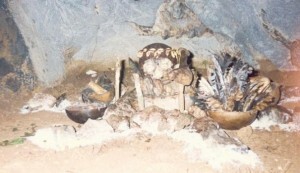 You can call the nfumbe whether or not you are near the cauldron and the spirit will reply the same way. What about when there were no cauldrons? You would just throw everything in a burlap sac and that was “your thing” or you would plant it in the woods under a ceiba tree or in the cemetary and simply call it from wherever you were. What bone is used in an nganga that is simply a stone like Mbumba? Where are the sticks? Where do you place the insects and the dirts? Please! 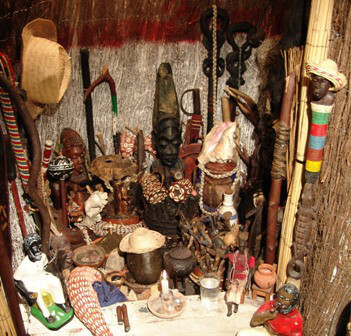 Mayombe works with the spirituality which are the virtues of things, not the actual things, the parts that give it its function and properties, that which makes things good for something, if it’s good for nothing it’s no good for Mayombe! What are you doing when you prepare powder and you send our the nganga’s dog? You are working with the spirituality of those things through the virtue of the elements that you use. The skeleton isn’t going to go out to do the work! 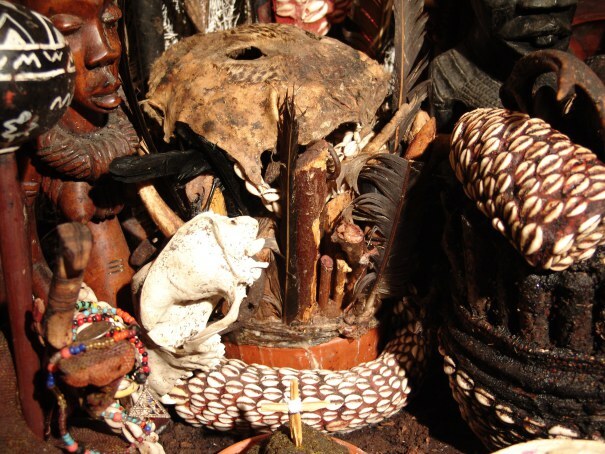 Do you believe that its the powder from the sticks used in an “nsala” that cause the effect or the spirituality of it that works? The nfumbe does not walk with the femur you give it, it uses the properties and functions that the femur had and retained to travel.